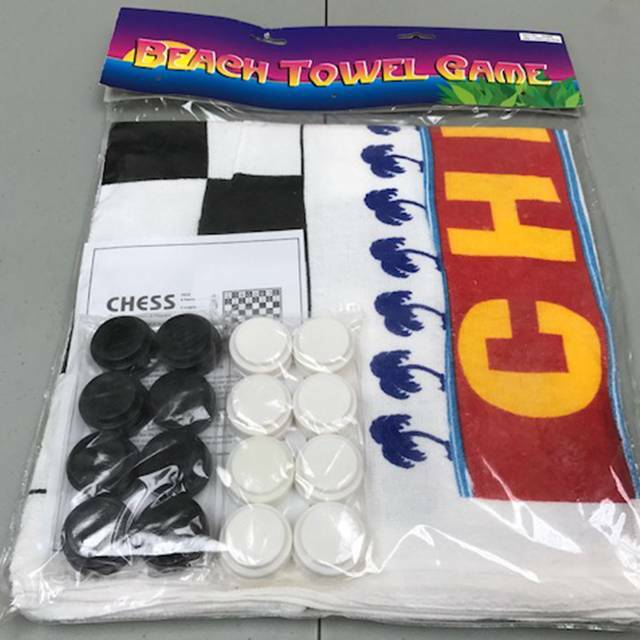 This is a beach towel and a chess board is on the towel, comes also with the pieces and a set of rules. 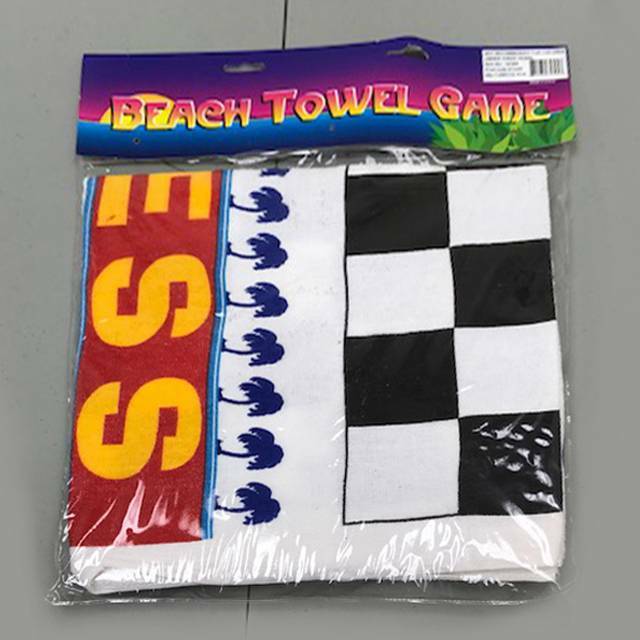 So go to the pool or beach and play chess on your towel. Great for all year around and have some summer time fun.